Graftobian’s Deluxe EMS Moulage Makeup Kit is loaded with all of the makeup you need to perform a serious mass casualty injury simulation. 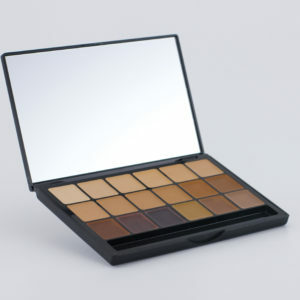 Graftobian’s professional Hollywood-to- Broadway makeup products are made of the nest cosmetic grade ingredients and are formulated for coverage, convenience, comfort, ease of use, and ease of removal. 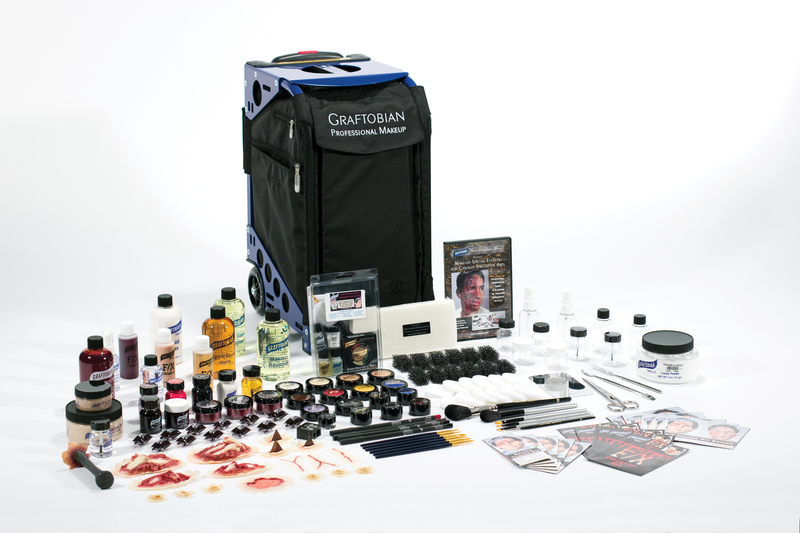 Graftobian’s Deluxe EMS Moulage Makeup Kit contains only high-quality, professional components. We have selected not only makeup essentials, but also the additional hard to locate supplies that will make your mass casualty injury simulation go smoothly. 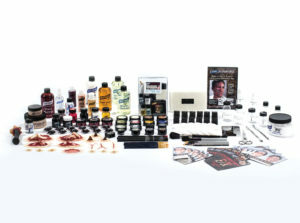 As an added bonus, we have included in this package our Moulage Training DVD. This professional military/mass casualty arts DVD is packed with actual training footage and makeup techniques to get the most of your moulage makeup. 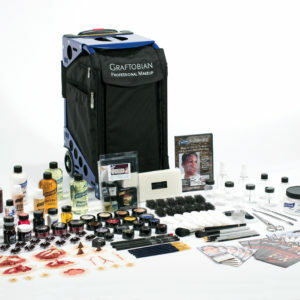 Finally, the Deluxe EMS Moulage Makeup Kit is available either with or without our new professional, high-quality, makeup case with which to hold your moulage makeup and tools. This custom designed aluminum alloy frame pro case features polyurethane wheels, a telescoping handle, removable storage pouches, and a durable travel cover. Our new case is the perfect accessory for transporting your EMS kit to and from trainings. 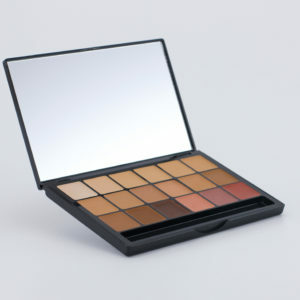 Whichever you choose, the Deluxe EMS Moulage Makeup Kit offers a substantial discount off the regular price of the kit’s individual components. 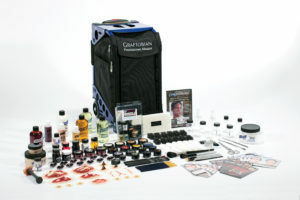 For complete component details consult our websiteatwww.Graftobian.com. We reserve the right to make substitutions of equal or greater value.